WHO’S SCARED TO DEBATE THE TRAIN LAW? 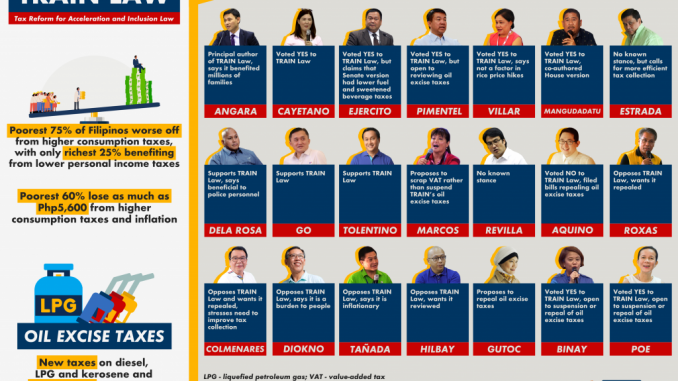 The TRAIN Law implemented since 2018 increased the tax burden on tens of millions of the poorest Filipinos while lowering taxes on higher income families including the country’s richest. Some lawmakers have reconsidered but others still defend the indefensible. Most aspiring senators are justifiably critical. Who’s who?